What Big Eyes unearths the mysterious secrets of Red Riding Hood’s family tree as three generations battle their demons: from the mischievous Green Fairy to ghoulish Doctor Indigo and Not Forgetting, a surprisingly dapper wolf. 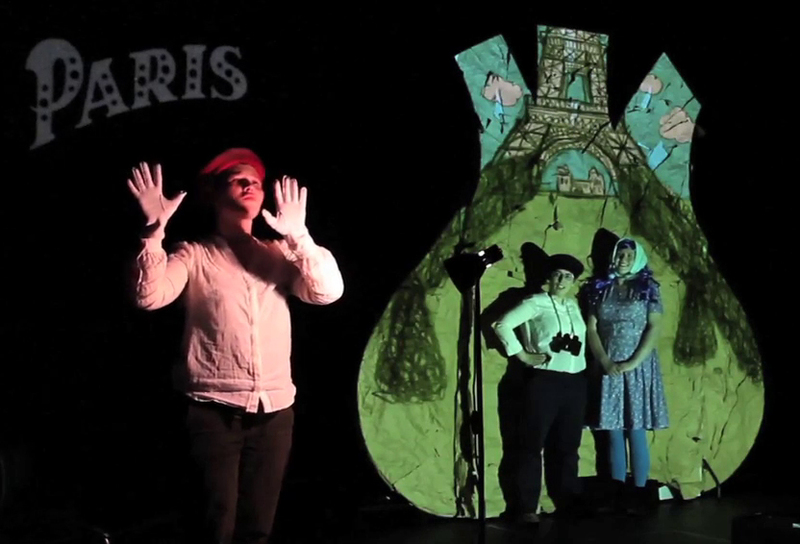 Integrating humourous, magic realist storytelling with live music, projection and artful design, it investigates how our lives are shaped by the comedies and tragedies of our parents, and theirs. The play opens with Grandma’s story, moves on to Red Riding Hood’s Mum Bluebell’s story, and eventually catches up with Red herself in the last half hour. We completed our R&D in 2015, with sharings at First Bite Festival and Birmingham REP’s Foundry Showcase.